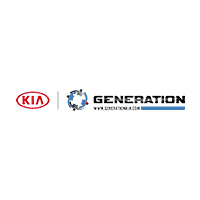 Welcome to Generation Kia in Bohemia, a new and used car dealership with a fast and convenient way to research and find a vehicle that is right for you. Whether you are looking for Kia used cars or a new Kia for sale, you will find it here. We have helped many customers find the Kia SUVs and cars of their dreams all around the area, including: Smithtown and Kings Park; St. James, Centereach, and Lake Grove; Oakdale and Bohemia; Islip, Brentwood, and Bay Shore; Bellport and Patchogue and more! We’re thrilled to be involved in our neighborhood and the community around us. We are proud to be a part of our local community, and support programs such as Islip Schools, Little Flower Children’s Services, and more. Explore more reasons to come to our new and used car dealership below, and contact us if you have any questions! We’ll ship anywhere within the company! We know that prospective customers are like to be well-educated when researching their next vehicle. Generation Kia has made it easy to get all the available vehicle information, including model overviews and more, so you can spend less time researching and more time enjoying your purchase in Patchogue. As a premier New York Kia dealer, we have a huge selection of new and used vehicles from which to choose. Check out our new specials, used specials, Kia certified pre-owned vehicles, and be sure to ask about current Kia incentives and Kia special offers for additional savings on your next vehicle in Riverhead. Ready to set up a test drive? Visit our new and used Kia dealership in Bohemia, NY today!